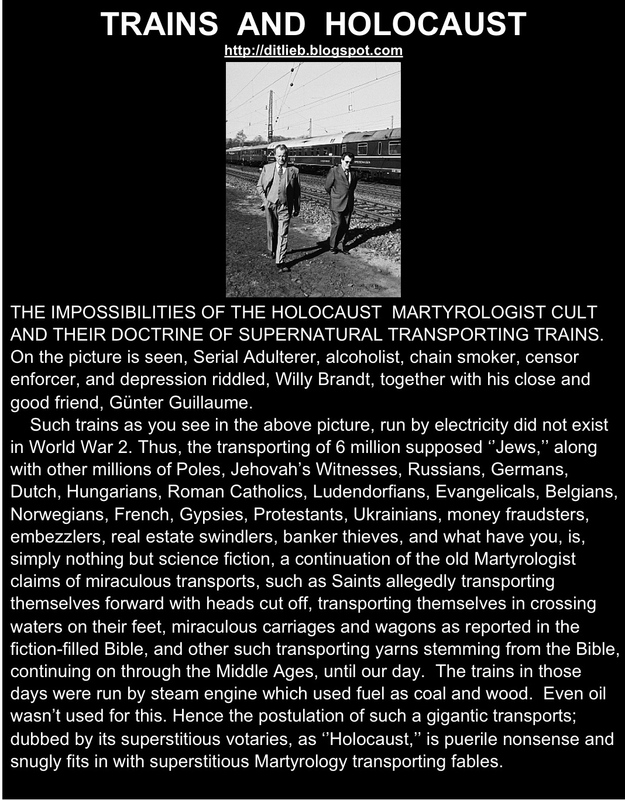 Germany technically did not have the means at their disposal in transporting millions of people via trains. Moreover, the tracks and the trains of Poland were still behind in several horse lengths to those of Germany. Train tracks have various widths so each wagon must have same size as the rails. Electricity was out in Poland and so was oil. Steam engines was the going thing for trains in those days. Gunter Guillaume which is seen in the picture was later discovered to be Stalin mole. At least no money was gotten from Stalin, whereas for West Germany, the bum Willy Brandt who never had worked with his hands except for his mouth, was very generous indeed with public money. The Slave Master knows best!